Corona, Calif. (July 11, 2016) - Round 7 of the 2016 Lucas Oil Pro Motocross Championship brought the Monster Energy/Pro Circuit/Kawasaki Team to Southwick for Saturday’s race. Wasting no time getting the day started, the team quickly got to work during qualifying. 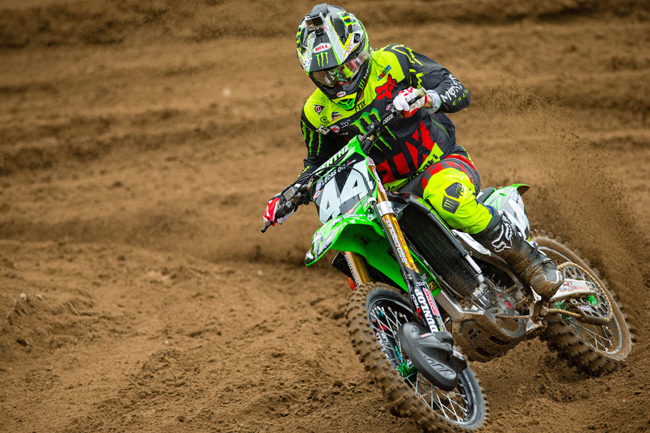 Austin Forkner led the 250 class in best time followed by Joey Savatgy. 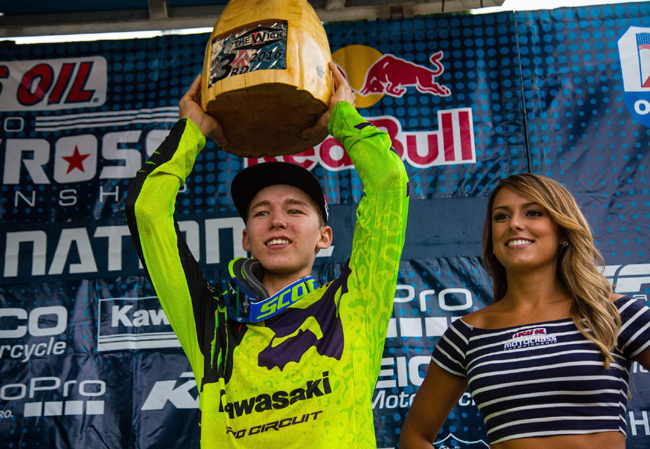 In Moto 1, Arnaud Tonus finished 3rd and Austin Forkner finished 2nd in Moto 2 and took 3rd overall! 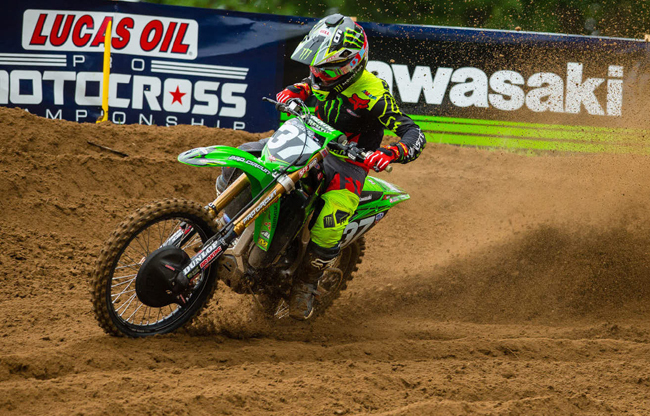 Displaying his true talent, Austin Forkner showed that the Massachusetts sand was no match for his KX250F. The day was off to a great start during morning qualifying. After finishing fastest during practice, he continued the momentum during both of the day’s motos. He was able to stay on pace throughout both races and found himself on the podium for the first time in his professional career! Arnaud Tonus demonstrated his speed and style throughout the day. In the final minutes of the first moto, he made his way to the front of the pack. Having made valuable passes, he arrived on the podium for the first time this season after finishing 3rd during Moto 1. In the second moto, he once again found himself competing with the leaders for the top spot. Ending the day in 6th, he continues to improve his overall score every week. 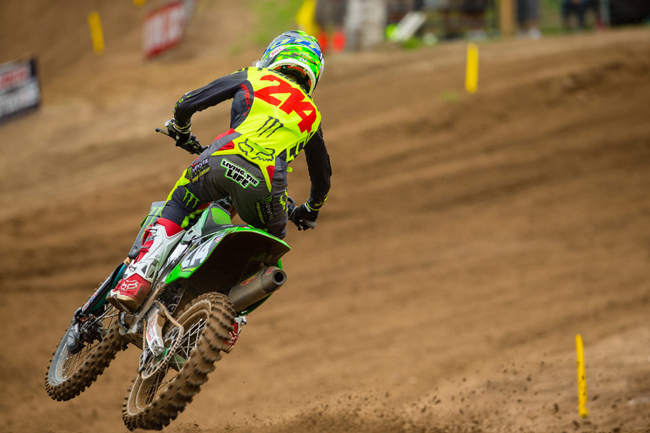 In morning qualifying, Joey Savatgy rode alongside teammate Austin Forkner for the top qualifying position. Entering the day’s motos in second, he was prepared for battle. Although the track offered less than ideal terrain, he stayed consistent through both of the motos. Joey remains 2nd in the standings and looks forward to Round 8! 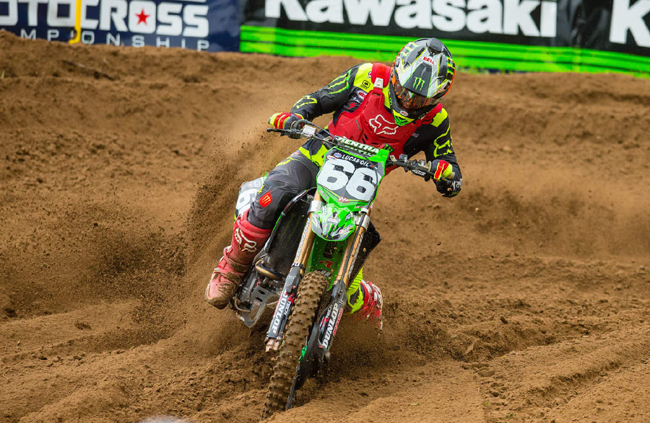 Moving past the halfway point of the series, Adam Cianciarulo stays motivated as he presses on. In round seven, he pushed himself throughout the day. He remained smooth and steady as he made his way throughout the Wick’s sandy track. Adam left Massachusetts in overall 14th and looks forward to advance as the series continues.